According to the National Chicken Council more than 1.3 BILLION chicken wings will be eaten this Saturday and Sunday. On Super Bowl we will eat 327% more wings than on an average day. 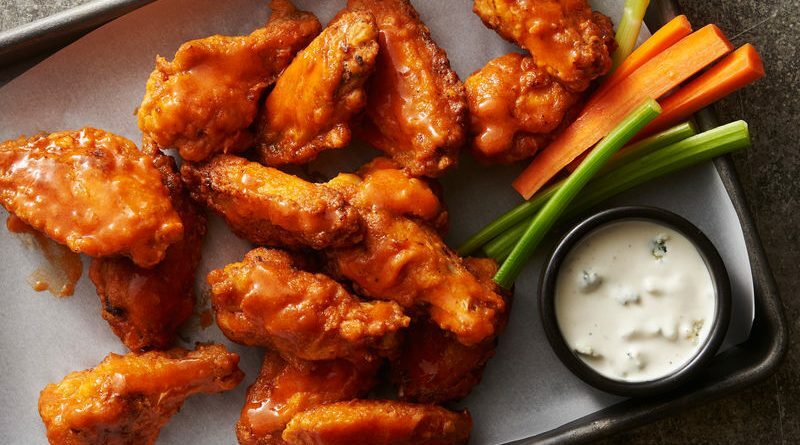 If you’re not eating wings, you’re probably eating pizza. Super Bowl Sunday is the busiest day of the year for pizza joints. After wings and pizza, potato chips are the most popular Super Bowl snack. 139 million pounds of avocados will be consumed, largely in the form of guacamole. Tortilla chips on the menu — 8.2 million pounds in fact. It’s unclear how many calories we’ll ingest during the game. Estimates range from an average of 1000-2000 per person, nearly as much as we generally eat in an entire day.